It’s found in architecture. It’s used by airlines, the transportation industry, and even as the layout for Disney theme parks. Most bicycles have them –and you can use it for your content marketing strategy too. I’m talking about the hub and spoke model, of course! If you’re not sure what that is, simply envision is bicycle wheel. You have the central component, the hub that holds everything together. You also have the spokes that help to transfer the power to the rim and keep the wheel spinning. Today I’m going to break down the hub and spoke marketing model, and show you how you can use it to get the most out of your marketing endeavors. When used effectively, hub and spoke marketing can help to keep your content marketing strategy together, so to speak, while at the same time allowing you to extend your reach in a systematic way. With this in mind let’s take a look! First, we need a strong source –your ‘hub,’ to host all of your content. This will usually be your website or blog. When marketing, you may also want to designate a specific blog post or landing page as your hub. That’s even better than linking to a generic landing page. One benefit of designating blog posts as your hub, and linking back to them instead of to a static website page, is that it’s a more casual approach –that will give your audience a chance to warm up to you, before they see what you’re selling. It also allows you to get extremely custom with your promotional efforts. With a blog post or white paper, you can offer your audience in-depth information, solving problems for them, and helping to make purchasing decisions easier. No matter what you choose as your hub, though, the most important thing is that it’s yours; your website, blog, or specific page. The reason that you should designate your blog or website as your hub, instead of a third-party platform, is because you own all of the content there. Social media platforms could change algorithms or even close down your account, but your website is yours –and that’s something that won’t change –at least not as easily! For best results, try to keep your “hub” organized. Have different sections for blog posts, white papers, press releases, and more. And tag your articles to group like content together. You want to make it easy for your readers to peruse your site; encouraging them to stick around a bit longer. Now let’s check the spokes! Spokes are the channels that get your content moving –putting it in front of various audiences. This includes things like social media platforms, guest posts, press releases, and more. Generally speaking, “spokes” fall into two different categories –paid and organic. Paid would be advertising –and organic includes search engines. The purpose of spokes is to get your message and content out farther than you could by simply posting on your blog alone. 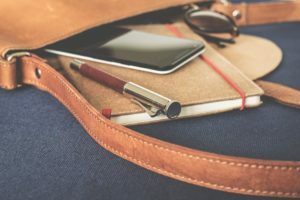 When you’re creating your blog post –or, “hub post” if you will, the best approach is to try to include as many different forms of media as you can. This includes multiple images, video, a sound bite, and a download sheet. Ideally, each piece of content should also be converted into a PDF, PowerPoint, and infographic. Then, each piece of content can easily be shared on related channels –your “spokes,” whether that’s Instagram, LinkedIn’s SlideShare, YouTube, or Facebook. You can post all of these various forms of content on 20-30 different sites to get a lot of quality links back to your blog post. Keep in mind that your messages shouldn’t repeat word for word across different spokes. Posting the same content, verbatim on multiple platforms will only frustrate your audience and could cause them to stop following you altogether. So change it up, and tailor your content for the platform. Press ReleasePress releases are a great spoke, and great for additional link building. By using a press distribution service, you can spread the word even further. Just make sure you create a well-written, newsworthy piece –or hire someone to do this for you. You’ll also want to consider posting your press release on your website as well, to get even more mileage out of it. When a prospective customer searches you out at some point in the future, having press releases on your site can help to add credibility. Guest PostsGuest posts are another great way to get the word out about your hub content. Reaching out to niche blogs with an audience that’s similar to yours will give you a good chance to get some valuable link backs. Just make sure you use original content for guest post blogs. Blog owners will want unique content –and Google will want to see it too. Email MarketingDon’t forget about email marketing! This could be one of the most valuable spokes that you have, for two reasons. The first is that email marketing’s extremely effective –most people prefer to receive offers via email. Secondly, social media platforms could come and go, but with email marketing, you own the list. For this reason, you should seek to obtain your visitor’s email address and permission to contact them, at every opportunity. FacebookFacebook is an excellent platform for both marketing and advertising. With over 2 billion monthly active users, your audience is sure to be there. It’s also an interactive platform, you could run a quiz or poll to engage your audience, giving them an inside look at your company, or hosting a Facebook Live event; all while directing them to your hub. 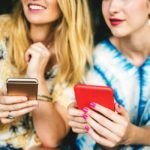 InstagramInstagram is a platform that you’ll want to think about using. Instagram’s one of the top platforms in terms of engagement, so make your posts count. 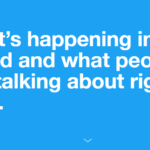 TwitterFor short and sweet posts, Twitter’s a great place for giving your followers a compelling glimpse into what you have to offer. Google+The main advantage of Google+ is that you can share a variety of different media. Share videos, files, audio, and more. YouTubeFor your video content. Create short, engaging videos –include them in your blog posts, and share them on YouTube as well. LinkedInHave any business news or articles to share? Your professional network on LinkedIn is the best place for those. You can also use LinkedIn’s SlideShare to share your PowerPoints. PinterestIf you sell products, or are able to take a visual approach with your marketing, then consider using Pinterest. This platform’s a great place to share eye-catching images, and infographics. While it’s good to take advantage of as many different platforms as possible, you’ll want to avoid spreading yourself too thin. To get the most out of your efforts, you’ll need to find out where your audience is, and reach them there. Or, try using a few different platforms, and test your response rates. By analyzing the traffic sources for your hub, you’ll be able to see where your readers are coming from and can adjust your campaigns. Remember, no matter which platform you’re using, your goal is to generate brand awareness, and direct your audience toward your hub. Make sure you include links back to your website within your social media posts and in your bio, to make it easy for people to find you. One of the benefits of using the hub and spoke model is that it’s easy to expand your efforts. If you only have time for one or to social networks, that’s fine. Just focus on those two and then when you’re able to, just create a new spoke. No need to change your hub. 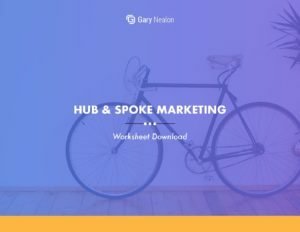 Get our Hub and Spoke Marketing Worksheet delivered right to your inbox. 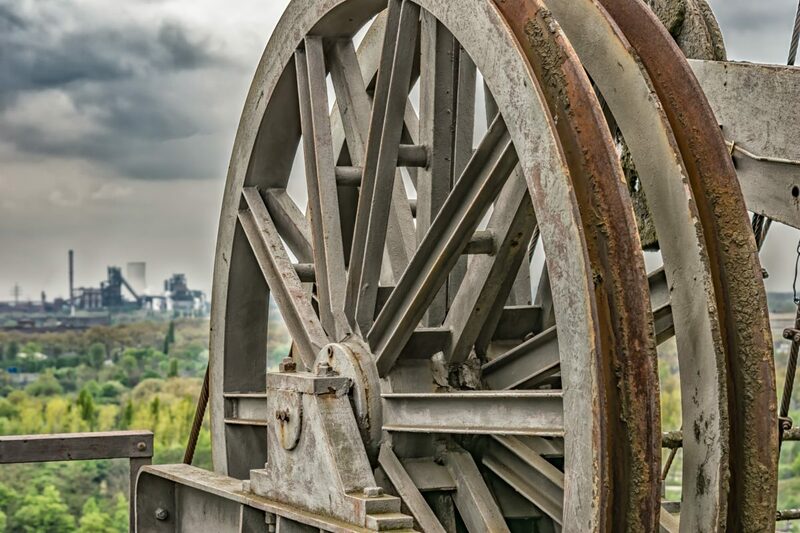 The final component of a hub and spoke model is one that’s seldom mentioned by marketing professionals –but it’s an important concept nonetheless. The rim! The outside edge of the hub and spoke model. 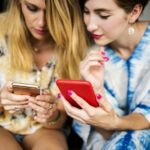 When you think about it, while most of your spokes –social media posts, guest posts, etc., will link back to the hub, but you should connect these platforms with each other as well! Include a call to action on your blog posts to follow you on Facebook, or give a shout-out on your YouTube video, promoting your blog. By reinforcing other “spokes,” you’ll be able to direct people to channels that they may want to subscribe to as well –or to additional content that may interest them. When it comes to collecting your followers’ contact information, the concept of a hub and spoke can be applied here too. For this analogy, you’ll want to think of the wagon circles of old. When the pioneers were heading out west, they’d often form a circle of wagons at night to protect themselves in the center. In a sense, we do this as well –by forming a protective circle around our followers and subscribers, so that we’re not at the whims of one social media platform –and so that our efforts will be less visible to competitors as well. In most cases, we’ll take the avatar that we have of our customer, and try to figure out where they’re hanging out. We’ll then target them where they’re already talking and sharing, and will build up these non-branded sites, and leverage them through tools like retargeting ads and lookalike audiences. We’ll also pull them off of Facebook with downloads and contests so that we have them on multiple platforms. These end up being audiences that our competition doesn’t know we have, and therefore can’t talk to directly. Ok, so as we’ve seen, top-notch content is a central component of the hub and spoke model. This begs the question –how can you create high-quality content? The kind that’ll both get picked up by search engines, and will capture the attention of your audience? Identify your audience – Know who they are, and what makes them tick. Understand your audience – Discover what they want. Begin with a working title – So you can stay on-topic. Create an exciting, yet accurate title – To encourage your readers to click. Create an engaging introduction – To hook your readers. Share your stories – Personal accounts are more meaningful. Vary your content – Mix it up! Provide useful content – Things your audience is interested in. Edit and proofread – Double check everything. Include links – To high-quality sources. Organize your content – Use tags and categories. Focus on flow – Make every sentence count. Ensure readability – Make sure it’s easy to read. Use conversational language – And simple, precise words. Break it up – Use bullet points and formatting. High-quality, evergreen content has a very long shelf life; and unlike paid advertising or other “spokes,” it’s something that can continue to draw in traffic, even years after it’s been published. When done right, it can offer a great ROI. 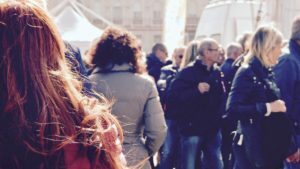 You could have the most engaging blog in the world, but without a way to generate traffic and buzz, it’ll be difficult for new customers to find you. With some 440 million blogs on platforms WordPress, Tumblr, and Squarespace alone, it’s vital for you to have a way to stand out from the crowd. Using the hub and spoke model will allow you to diversify your approach, and expand your reach –ensuring that your website, blog, and posts get more exposure. Do you use the hub and spoke model in your marketing?